As part of Power BI for Office 365 we provide the Power BI Admin Center for IT professionals. 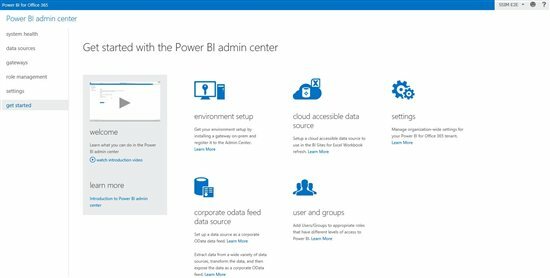 Login to Power BI as a Power BI IT Admin to get started today. As we continue to improve these capabilities we invite you to email us at PowerBIAdminCenter@microsoft.com with your feedback. In this scenario, an information worker creates an Excel workbook with a Power Pivot model that uses an on-premises data source of SQL Server or Oracle, and publishes it to Power BI for Office 365 to share with others. If the data source has not already been setup for data refresh, the information worker can contact an IT Administrator with a link to/copy of the Excel workbook or the data source connection string. The administrator extracts the connection string from the Excel workbook if needed, and uses the connection string to register the on-premises data source with the Admin Center, enabling cloud access for the data source and granting access to appropriate users / security groups so that they can refresh the Excel workbook with the latest data from that on-premises data source. In this scenario, an IT Administrator exposes data from an on-premises data source as an OData feed so that it can be consumed by users from Power Query for Excel. 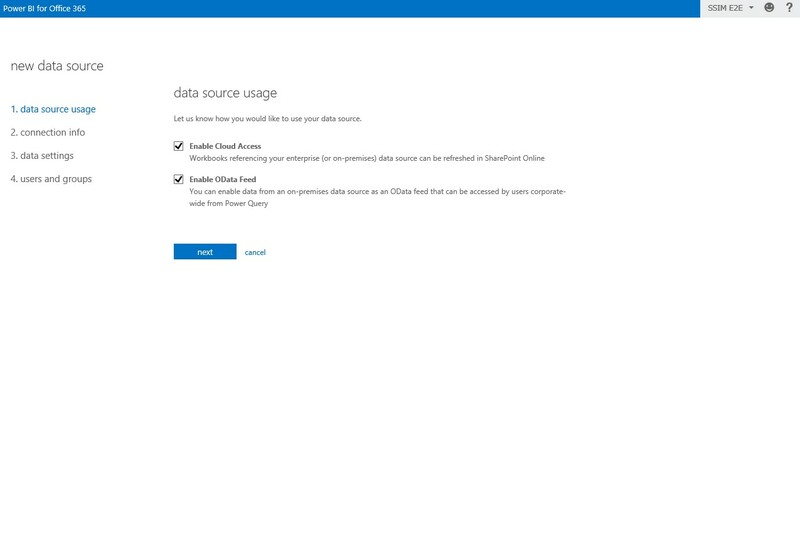 To expose data from an on-premises data source as an OData feed the administrator will first register the on-premises data source with the Power BI Admin Center, enable OData feed for the data source, select the tables/views to be included in the feed, and grant users access to the feed. Administrators can enable indexing of the data sources so that metadata is indexed in the Data Catalog, allowing users to discover the feeds through online search from Power Query. Users will also be able connect to the feed directly by using the feed URL available from the Admin Center. A few Simple Steps to Get These Scenarios Rolling! 1) Login to your Power BI Admin Center using a valid account enrolled in the Power BI IT admin group (Note: all the O365 global administrators are automatically added to the Power BI admin group upon provisioning). 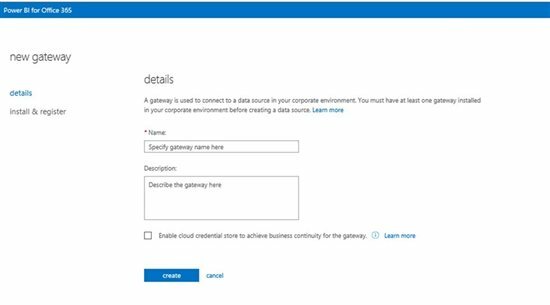 a. Download, install, and configure a Data Management Gateway on-premises and then register the gateway with the Admin Center. See Install, Configure, and Register Data Management Gateway for details. b. We recommend you check option “Enable cloud credential store to achieve business continuity for gateway.” See Business Continuity for a Data Management Gateway for details.